Since 1997, EcoLogic has successfully completed more than a dozen Fish and Wildlife Impact Analysis (FWIA) assignments throughout New York State, encompassing a range of contamination sources and types, and ecological receptors. Our scientists characterize on-site habitat conditions, fish and wildlife use of the site and surrounding areas, and signs of environmental stress to gain insights about the nature and extent of contamination. This information is then used to determine potential pathways of contaminant exposure of fish and wildlife. 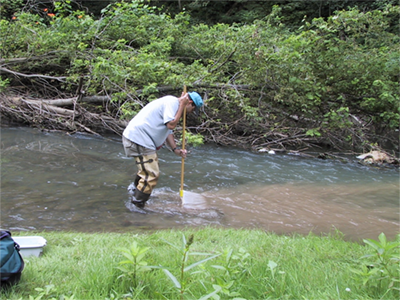 The FWIA is a step-wise evaluation of the potential impact of contaminated site conditions on fish and wildlife resources; existing conditions and historical conditions are evaluated in the first step. If the site investigation indicates that contamination is present and that off-site migration of site-related chemicals is likely, the FWIA proceeds to step 2. This is the contaminant-specific assessment, which includes a detailed analysis of the potential pathways of migration of site-related chemicals and the potential for exposure of fish and wildlife. If pathways of exposure are deemed complete, the FWIA proceeds to a criteria-specific analysis, and, ultimately, to a toxic effect analysis at the level of the organism, the population, and the community.